1. )Wash and dry the carrot. 2.) 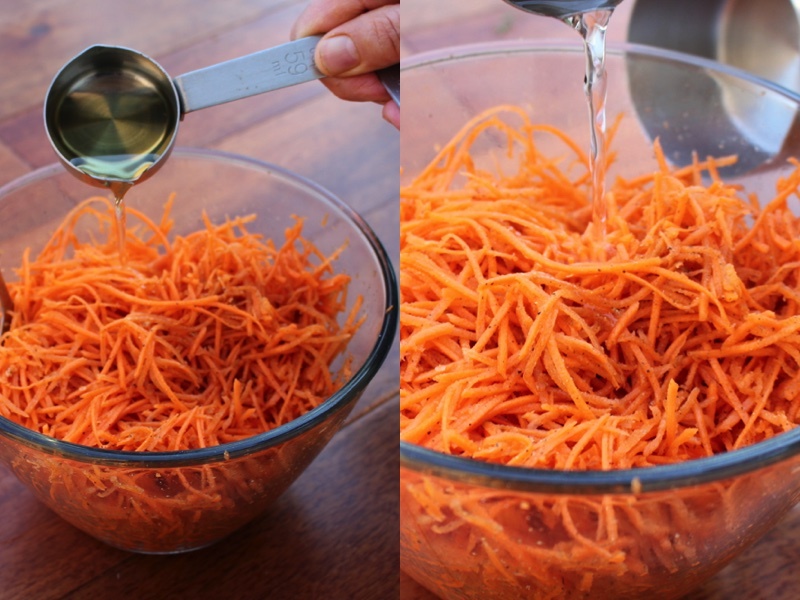 Shred carrots into thin pieces. 3.) Pour in sugar, salt and pepper into a bowl. 4.) Also Crushed garlic must be added to the mixture. 5.) Pour olive oil and vinegar into the bowl. 6.) Lay it out on your serving plate. 7.) Let it sit for about 3 hours to get the best taste. Is easy to make and is made from ingredients you may already have on hand. 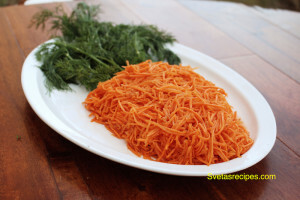 Its also known as "Korean Salad", as the carrots are julienned. 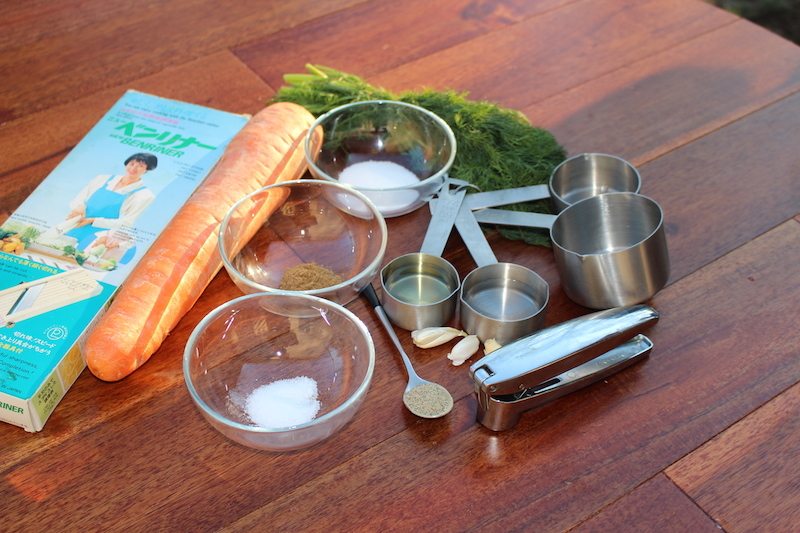 This recipes is for 1 pound of carrots. Make this traditional classic carrot salad the next time you want a healthy delicious side. Enjoy! Wash and dry the carrot. 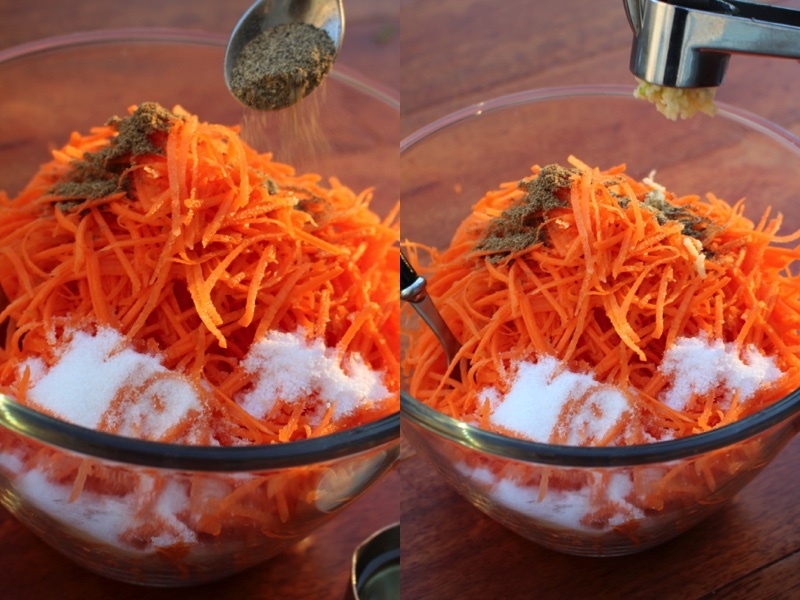 Shred carrots into thin pieces. Pour in sugar, salt and pepper into a bowl. Also Crushed garlic must be added to the mixture. Pour olive oil and vinegar into the bowl. Lay it out on your serving plate.